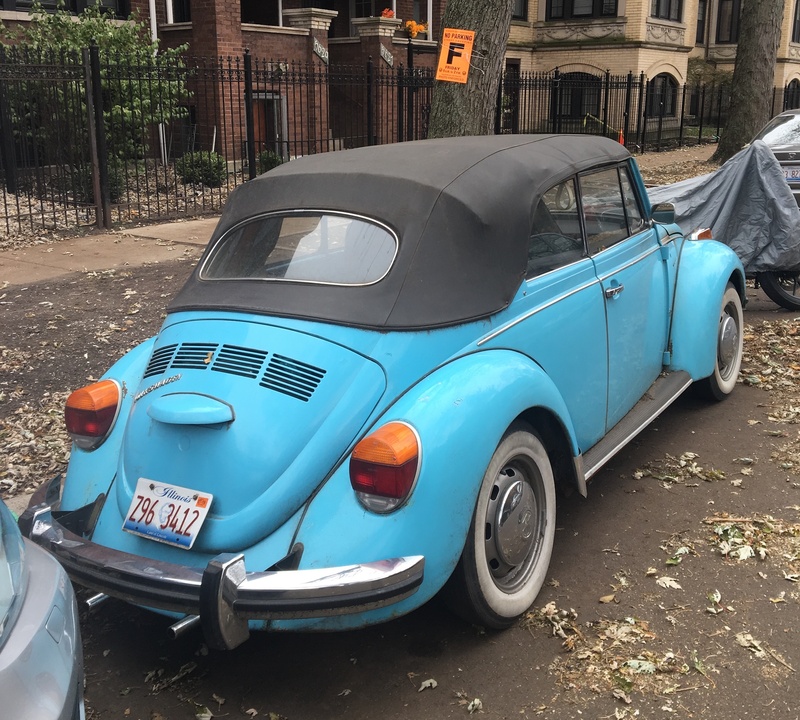 There were a couple of thoughts going through my mind when old pal and WNY expat Rick Lapp sent these photos along on Thanksgiving from Chicago, where he was (I assume) visiting family: a.) that’s not original paint; and b.) those aren’t factory whitewalls. Well, I’m pretty sure b.) 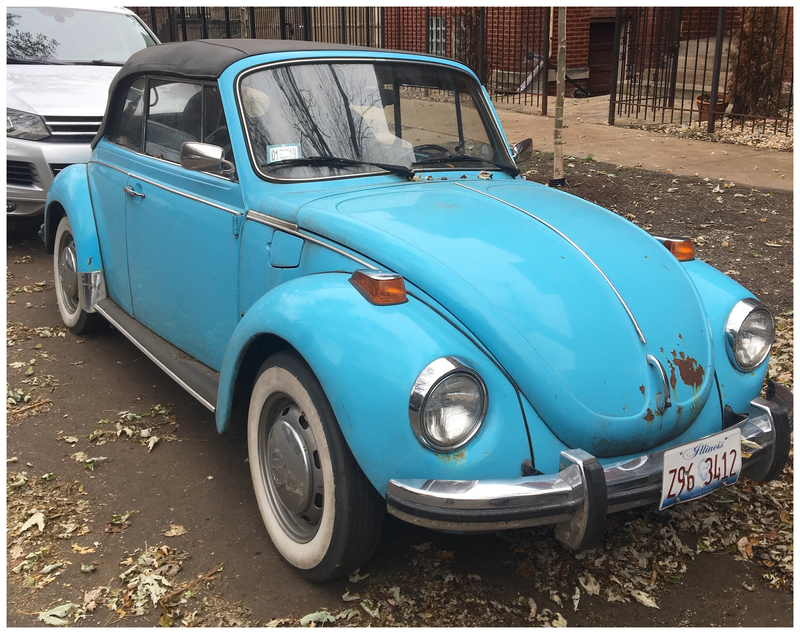 is still correct, but a quick search showed that this 1976(ish) VW Super Beetle is indeed presented in Olympic Blue, a 1976 color choice. 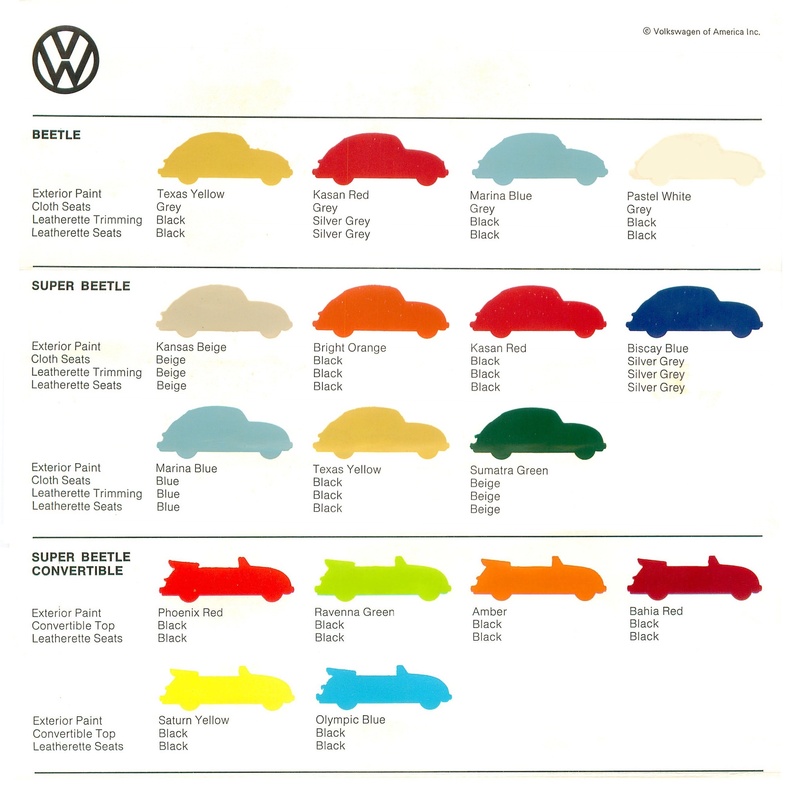 As you can see from the accompanying color chart, the convertible had its own color palette. And while you’re sitting there having a coffee, compare this color palette to today’s color choices. The manufacturers will say they're only making what we’re buying, but it seems to me that it works the other way around. In closing, I hope the owner of this VW heeded the sign on the tree and moved it before 9am Friday for street sweeping. The sign mentions that it’s “photo enforced,” and we all know pictures don’t lie!